Researchers conducted an experiment which included shooting projectiles which resemble meteorites at volcanic rocks. The experiment sheds light on how asteroids brought water to Earth. The experiment was conducted at the Vertical Gun Range at NASA’s Ames Research Center in California, where scientists shot projectiles the size of marbles at targets at a speed of 11,200 mph. Researchers used projectiles with similar chemical compositions to carbonaceous chondrites, a group of meteorites that originate from ancient asteroids that are rich in water. When Earth was still evolving as a planet, these asteroids regularly hit the planet at high speed. Researchers described their findings on how asteroids brought water to Earth in the journal Science Advances on April 25, showing that when such collisions would occur, up to 30% of the water that was previously in the asteroid would be trapped in the debris that was created by the impact. Previously, astronomers believed that Earth had gotten water from comets. 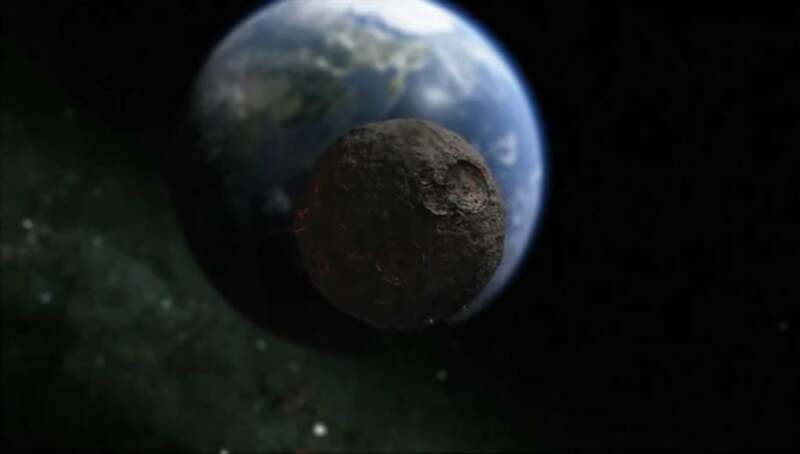 However, the recent research shows that asteroids might have also brought water to Earth, and could have been the main delivery system of water. According to the measurements they made, the water found on Earth is of similar composition of isotopes, which are atoms of the same chemical element that have a different number of neutrons compared to the original atom of the same element, normally found in carbonaceous asteroids. Still, the research team couldn’t understand how asteroids brought water to Earth and what was on Earth’s surface before that event occurred. When the researchers fired mini meteorite-like projectiles at their target, they saw that a part of the water from the projectiles got stuck in the rock, and once inside, parts melted by the heat of the impact as well as the material that coalesced from the impact debris. According to the researchers, this discovery could vouch for the presence of water in the lunar mantle and other areas of Earth’s natural satellite, including Tycho Crater. Also, as Schultz explained, water in those asteroids could also explain the ice that was detected at the polar regions of Mercury as well as the later activity of water found within the solar system.